The humorous and kind-hearted red demon raised by a human, Hellboy, is making his way to New York Comic Con this year. The comic book creator Mike Mignola, director Neil Marshall, and the cast including Stranger Things’ David Harbour (Hellboy), Ian McShane (Professor Bruttenholm), Sasha Lane (Alice Monaghan), Daniel Dae Kim (Ben Daimio), and Milla Jovovich (Nimue the Blood Queen) will all be in attendance. The comic book gained popular fanfare in 2004 when Guillermo del Toro adapted the work to screen starring Ron Perlman in the titular role. The premise of the story was that the Nazis intended to conjure a demon from hell. Their plan worked and they were sent Hellboy. Unfortunately, he was a helpless baby. The little red tyke was rescued by the Allied Forces and Professor Trevor Bruttenholm who raised him as his son. He grew to become a contributing individual in society and fought the forces of evil as a member of the Paranormal Research and Defense Department. It was officially announced that the Hellboy panel would appear at the NYCC on October 6, according to Screen Rant. The panel of the new cast hopes to help promote the reboot and gain appreciation for the new film since many fans are unsure of a reboot after del Toro’s version. An aspect that may work in the new movie’s favor is that, although del Toro’s version is a fan favorite with its whimsical characteristics, Marshall’s version will be scarier and darker than its predecessor, earning it an R-Rating. 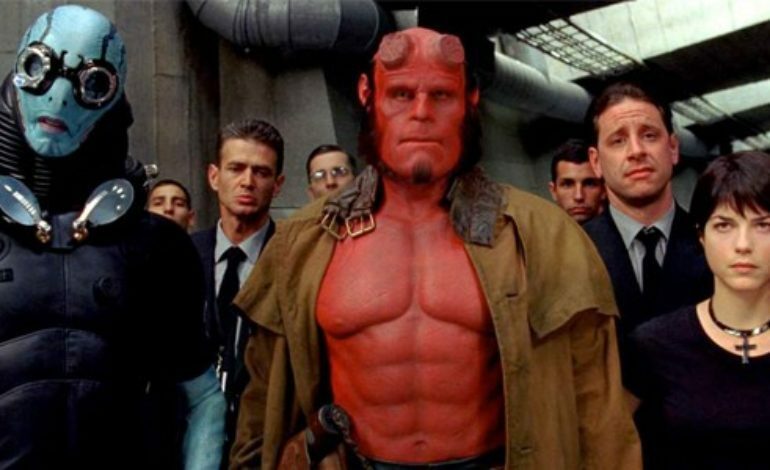 Lionsgate is releasing Hellboy to theaters on January 11, 2019.